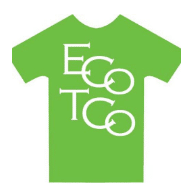 I sell T-Shirts from In my ‘ECoTCo’ Etsy shop. Silkscreen printed t-shirts are made from organic cotton, certified under the Global Organic Textile Standard, Fair Wear Foundation and licensed in the UK by the Soil Association. The printing process on all our garments uses PVC & phalate free inks. Custom printed T-Shirts are printed digitally and are the Gilden brand. Nearly all of the graphics displayed on any item can also be supplied on Wall Art. This would become a Made to order item and you would need to contact me with your wishes via my Nice visuals I do both postcard, A4, 10 x8 and A3 size prints on a Canon High quality printer. All of my graphics are original, and some comment on ecological subjects. We welcome orders from organisations who also seek to raise awareness of green issues by using our designs. We hope our customers will also be proud of being part of the green economy. I am experimenting with extending how my graphics are produced and try be as eco friendly as possible.